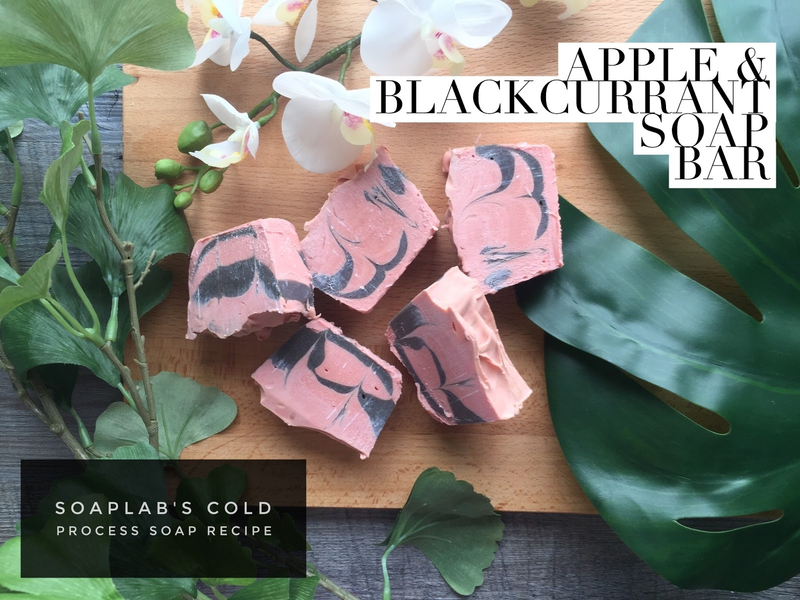 Hi guys, our recipe for today is a cold press soap for anti ageing. No matter what age you are, it is never too early to start taking care of your skin. Preventing signs of ageing is definitely easier than reversing! For today's recipe, we use various ingredients to help your skin look youthful always. Firstly, we need apple juice. Apple juice has fruit acids that help remove blackheads and whiteheads , and also hydrates skin. Coconut oil has vitamin E and lauric acid that are excellent moisturisers. Next we use pomegranate extract rich in polyphenols that fight free radicals by combining with them to prevent them from harming your healthy cells. Without it, we will experience early ageing. It is also a rich source of omega-3 fatty acid that maintains skin health and reduces appearance of wrinkles and lines. Next, for this recipe we use blackcurrant fragrance oil that has a yummy fruity scent. We then use plum and pink colours that will definitely make you smile!